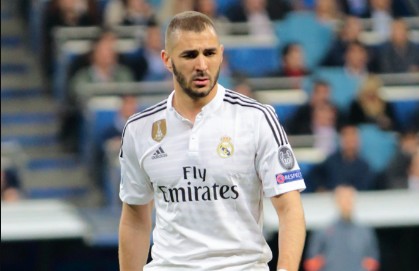 Ahead of the new football season, it’s obvious that Los Blancos will still put major reliance on Karim Benzema, as there are no indications that he is set for a departure. The club is also yet to go all out for any center-forward as every report currently can be written off as mere speculation. Ronaldo’s departure means that Benzema has moved up the pecking order at the Bernabeu and is now the third captain at Real Madrid behind Sergio Ramos and Marcelo. The Frenchman may not have been consistent in terms of his deliveries in terms of goalscoring, but his new role could provide the needed nudge for him to do something significant for himself and the club as he approaches the tail end of his football career. Regardless of his goalscoring prowess, reports from Marca suggest that the Frenchman is taking his new-found leadership role seriously, by swinging into action, and is already a role model for the upcoming youngsters in the squad. New Madrid signing Vinicius Junior is apparently one of those who has taken Benzema as a role model for the new season. The Frenchman was once in his shoes as a young player at a big club like Madrid when he arrived from the Ligue 1 in 2009. According to sources, Vinicius has attached himself to Benzema and has hardly moved from him since the commencement of pre-season training. It was also revealed that Theo Hernandez has followed suit. Tthe 2018/19 season is surely one that will afford Benzema the chance to establish himself as the major target man in Real Madrid’s attack. It was obvious that the team was set up to make Ronaldo thrive when he was at the Bernabeu. His departure means that Benzema now has the chance to move out of his shadow and carve a niche for himself in the Los Merengues attack. Hopefully, the player grabs the opportunity with everything he’s got under Lopetegui’s regime and makes it big in his remaining time at the Bernabeu in the absence of Ronaldo,. The Spaniard appears to have put trust in him, therefore, he must pay back with top class performances.